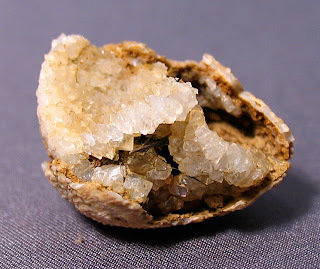 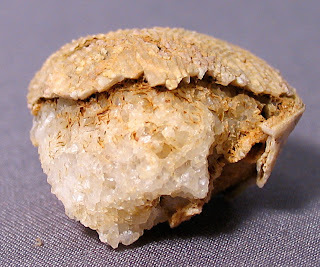 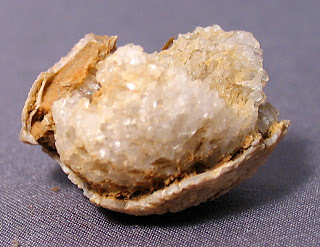 A brachiopod lophophore fossilized in quartz crystals. 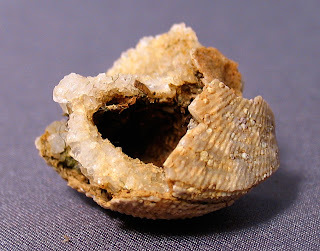 The brachiopod is a Pseudoatrypa found in the Jeffersonville Limestone of Clark County, Indiana. The creature existed in the Middle Devonian Period.